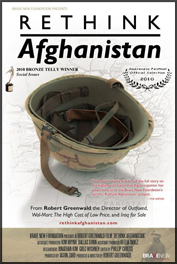 Part One focuses on what military escalation will achieve in Afghanistan. Part Two looks at how the war could further destabilize a nuclear-armed Pakistan. Part Three focuses on the staggering costs of the war, which could easily exceed $1 trillion. Part Four examines the civilian casualties caused by recent U.S. airstrikes in Afghanistan. Part Five questions the assumption that war can liberate Afghan women. For more facts please look at the fact sheets on Women’s Rights in Afghanistan and the one entitled U.S. TROOP INCREASES FAIL TO REDUCE CIVILIAN CASUALTIES IN AFGHANISTAN.